More Puffcorn Please just might be the most perfect snack food ever created. 1. Light & airy, More Puffcorn Please literally melts in your mouth. 2. Unlike the standard popcorn you’re used to, More Puffcorn Please contains no kernels or hulls. 4. While we are in no way advocating More Puffcorn Please as a well rounded meal, it can be eaten as a substitute for breakfast, lunch or dinner in case of an emergency. It cannot in any way replace brunch though, if you have the option to eat brunch, please by all means, do so. Brunch is pretty awesome. 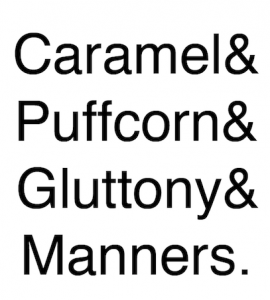 But we do recommend More Puffcorn Please as a post-brunch snack. 5. More Puffcorn Please is extremely addictive. Fortunately for you we can provide you with a never-ending supply!